Have a glance of differential sweets ! Everyone likes meetha and it’s hard to avoid it. It is possible to have sweets and feel light. Sweets are picking out by everyone. Having a differentiation between deserts have mainly sugar and have sugar with fat. Stick to sugar-based deserts. Sugar deserts are chocolates, plain Sandesh, mishti doi, rasogolla, and custard. Any sweet that has a high ghee or oil or fat or butter content is avoided. Cakes, pastries, mousses, sweets soaked in ghee, malai, khoa, pure butter made from milk and foods with condensed milk. 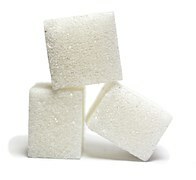 Sugar-free versions of sweets replace the sugar with fat to maintain the taste. It makes to gain weight. Dry fruits become more nutrient dense and are healthier for traditional sweets. Mithais and desserts made of dates and dried figs are yummy. Date rolls mean dry fruit wrapped in dates, dates stuffed with apricots, dry fruits chikkis and dry fruit puddings. Low-fat dry fruit desserts can be made by caramelizing sugar and adding chopped dry fruits and making chikki of it. Feel Every Sip Of TE-A-ME Ice Brews -Five Delicious Flavours!